You need a Real Estate agent who will cater to your needs and wants when it comes to finding your home. I will work diligently to find your dream home, and will not settle for less. I know how important finding the right home is to you and your family. Whether you are the avid golfer or the once-in-a-blue moon, high handicapper like myself, there is a neighborhood for you. Whether you enjoy the beach or the hustle and bustle type of life, there is a home for you. Everyone deserves to live in the right home! I will make that happen. This is so important! Oftentimes buyers don't visualize living in your home the way you do. I can make your home attractive to its ideal audience - which can help you get top dollar. Put yourself in a generic buyer's shoes. I will walk you through all of the necessary steps to make your home more appealing to buyers. "Frank did an amazing job for us. We received multiple offers (most above asking price) in only a few days. He helped us through the entire process and was totally awesome to work with." "From start to finish Frank was wonderful. He was kind, knowledgeable and his negotiation skills were top notch. He went above and beyond to find us our home. He swayed us away from houses that just weren't quite right (mold issues or overpriced) and when we found our perfect home he got us a great price. He worked closely with our mortgage advisor and remained in contact with us to answer all our first time buyer questions. He made the process very easy. I would recommend Frank to anyone looking for an agent. He is the best agent we could've hoped for. Thank you Frank for finding us our dream home." "What do you want when choosing an agent? Everyones needs may differ, but the first MUST is having an agent that will pick up the phone, answer texts and respond almost immediately to any question you might have. Frank excels in communication and works hard to resolve any questions and bottom line, get your house sold! It was great to work with Frank and I look forward to utilizing his skills in our future transactions!" "Frank Gaudino has work with me for over a year to sell my home and find the perfect home. He is an expert in the local real estate market. He showed me a number of homes and continually updated me with new homes as they became available. The best part about Frank is that he is always available to answer questions or show a property. When it was time to negotiate a sale or purchase, his help was tremendous. He was even there for me at both closings. You will find no better than Frank Gaudino"
"We knew that attempting to find a home from an out of state location would be a daunting task. Not really knowing the neighborhoods, the real character of various communities, associated amenities, traffic concerns and life style environments means that you need a real estate agent you can trust to get to know you and understand your goals and then provide the answers to all of the above. Frank started helping us with all of these issues even before we had met! He listened and was able to set up viewings for us when we arrived that were exactly what we had hoped for and in a time frame that was responsive to our schedule. Thanks to Frank we found our dream home in a great location, with the price and amenities that were perfect for our budget. He knows the business and is exceptionally responsive. We are recommending him to associates, friends, family, and mortgage brokers everywhere." "Frank is NOT just another realtor!!! Frank is the realtor you want to choose for your new home purchase. Do not waste your time looking at other realtors. He is a true professional and very knowledgeable. He provided stellar service; well above and beyond any realtor with which we have ever worked. He sent us possible listings almost daily and was available to meet us at potential properties as needed. He negotiated for us like a family member and even fixed the roof on our new home so that it would be ready for us to move into. In a day and age where reliable and trustworthy service personnel are very hard to come by, Frank restores your faith in humanity! He was a lifesaver to us in this process and I HIGHLY recommend him. Please feel free to contact me by phone if you would like a personal recommendation. 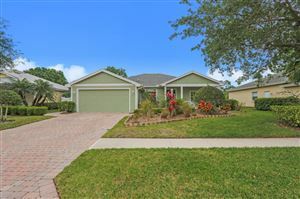 561-379-7512 Dr. Sherry Gibson, School District of Palm Beach County"
"Frank was the third Real Estate Agent I worked with. I remember when I first met him and I said; "Look I don't have a lot to spend and I have been ditched by two agents." Frank smiled and said "Don't worry we will find you a home." And that we did. Frank listened to my request and provided me with excellent feedback. Within hours of meeting he sent me multiple listings and a few days later he was taking me house shopping. We looked at umpteen houses, town homes and condos until I fell in love with the one I purchased. Frank made himself readily available at all times and was always happy to help me with any questions I had along the way. He was very honest about each home he showed me and provided me with all the details he had available. He had a lot of knowledge on each home we looked at as well as the neighborhood. Frank made my house buying process a joy even with all the frustrations and worries going through my head. He is not like any other agent out there. Frank listens to you"
"I recently relocated from NY to Florida and Frank Gaudino was the best referral anyone could ask for. Being new to the area, I relied on Frank to pick me up and drive me around to look at apartments. Frank listened to me when I laid out my priorities for my new home and he ensured he covered all bases working day and night to find me the RIGHT PLACE in a short period of time (2 weekends). It was time for me to head back to NY and Frank offered to attend meetings and handle all negotiations on my behalf. He even offered to sell furniture that was left by previous owner for me while I was away. I mean who does that??? FRANK GAUDINO. He listens and he searches the market based on YOUR needs/wants. Frank is HONEST, HARD WORKING and a pleasure to deal with." "Frank helped my buy a beautiful condo in Florida. He was available on short notice to show me several condos while in Florida, and then guided me through the entire process remotely, via computers, email, and wire transfers, after I returned to Omaha, where I live. Seriously, buying real estate is always so complicated and difficult, but Frank was extremely knowledgeable, organized, and prompt. He seems to work 24/7 and would respond to my emails on weekends and evenings. In addition, he arranged for a family to lease my condo for a year, while I continue to live in Omaha. Absolutely, he is a class act!" "From the Contract for Sale and Purchase, the listing, the sale, and the closing of my mother's house, Frank was very thorough in the explanation of details and answering all my questions. Frank had a buyer very quickly who was willing to pay the asking price for the house. Frank displayed professionalism though out the process. Frank displayed appreciation for my selection of him as my realtor. Frank provided information I needed to determine the basis cost for the house. I would highly recommend Frank for a home sale." "Over the past 12 months Frank Gaudino has been a great asset in helping me find my new home. His thoughtfulness, knowledge, and most of all, patience has been greatly appreciated. He has gone above and beyond in all aspects of the process. I highly recommend Frank and have all the confidence he will be able to find the perfect home for you." 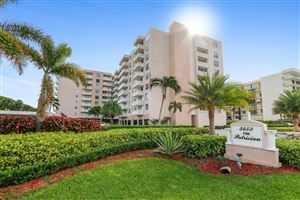 "We recently sold our condo in Florida. The agent was Frank Gaudino of Keller Williams Realty. We would give this agent a 5 star rating.His handling was prompt,always keeping us informed of progress and paperwork was expeditiously sent. WE would have no hesitation in highly recommending Mr.Gaudino for any home sale." "I worked with three other REALTORs before we worked with Frank, he was what we needed to get us in a house we wanted. He was very experienced and on top of his game. Very professional and on time, and always sent us great homes he knew would fit us well. He was also very patient and understand of our time frame and made things happen the way they should. I would recommend him to anyone looking for a professional experienced Relator and will continue to use him personally." "Frank was very efficient, knowledgeable and prepared for making numerous appointments for condo viewings. He had the forsight to take us to many different types of condos. He made a long viewing day enjoyable and relaxing. Upon selecting a condo,his negiotiation skillls resulted in a favorable price for us. Our expereince with Frank was very professional and because of the positive outcome we would HIGHLY recommend him to others." "I have purchased and sold many properties in New York, Long Island, and Puerto Rico and I have to say that Frank Gaudino takes his role seriously. He listens to the clients needs, finds them what they want and makes sure that every step of the way from acceptance of offer to closing he is in constant contact with the client. He even goes the extra mile to make sure he is available if the client is not for the closing. More realtors should be as dedicated to their customer service as he is. Frank is what great looks like and his customer service should be realtor training under the heading "best practices". " "Frank is more than just a Realtor... he's a friend. He was extremely helpful and eager to show us the house we were interested in, but beyond just that he was a true go getter. If we had questions he provided answers with incredible time. Once we found the house we thought was perfect for our needs he worked diligently to get our offer accepted and to the closing table. Even after the sale he made sure that we were happy with the new home and a couple of minor bumps he saw through with care. I would highly recommend Frank to my friends and family as well as strangers... which I already have :)"
"It is incredible that Frank Gaudino is so responsive. I could call or text at anytime during the day (or night) and would get a response immediately. As for being relocated to a new city with no knowledge of the area, I placed my full trust with Mr. Gaudino because I wanted someone who appreciated my concerns and who was able to answer any kind of question I had. He guided me through this important big step and made the process quick and simple. 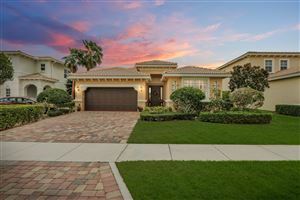 I got the home I was looking for in West Palm Beach. Most importantly he was honest in what he thought of the properties I was looking at. For example, if a home was ever overpriced or was located in an unsafe area Frank did not hesitate to let me know, he would tell me immediately as opposed to giving me pressure to close on a property we were unsure of . Similarly, there was never a time I felt rushed to make a decision. I know that he looks after his clients and I have no hesitation in recommending them to my friends and family. Thank You So"
"I am writing this letter in recognition to Frank Gaudino for his professionalism and his compassion towards my family. I will certainly seek out Frank for future business." "Whether you are a buyer, seller or renter, I would highly recommend you get in touch with Frank. He is responsive, dependable and moves to action to get you results. He goes out of his way to deliver, and everyone we refer him to is amazed! You wouldn't be disappointed if you partner with him for your real estate needs!" "Being in the customer service industry, I know what it takes to make customers satisfied and feel appreciated. Frank made me feel like I was his most important customer. He was always ready to answer any and all questions or concerns. Frank spent a lot of time with me on the phone, via email, and in person. His communication is second to none. I can't speak highly enough about Frank's service he provided to me. I highly recommend Frank and will definitely use him in the future."